Trusting the wrong company with your exhaust cleanings can land you in hot water with the fire code inspector or even lead to a fire at your restaurant. Stop worrying and hire Flue Steam. 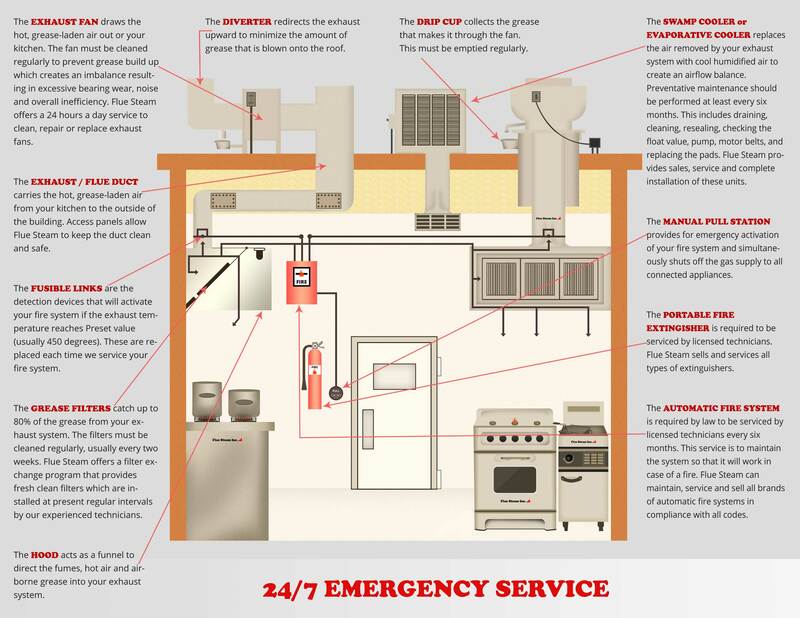 We have been providing superior restaurant kitchen exhaust cleaning in Calabasas CA since 1971, and you can count on our certified techs to help you meet your code requirements and keep your kitchen and your employees safe. At Flue Steam, we know that no two restaurant kitchens are going to accumulate grease exactly the same way. That’s why we let you tailor your service to get just the right amount of cleaning to stay on top of grease buildup in your kitchen. You can get hand scraping every month to remove grease from the areas where it accumulates fastest, and steam cleaning every 3 to 6 months to remove dangerous grease deposits from your entire duct system. Our techs can measure grease depths to help determine how quickly grease accumulates in your kitchen and make sure you are getting restaurant kitchen exhaust cleaning in Calabasas CA before you have a fire hazard on your hands. Exhaust fan inspection: Every restaurant kitchen exhaust cleaning in Calabasas CA includes a free fan inspection to help ensure this vital part of your exhaust system is working properly. 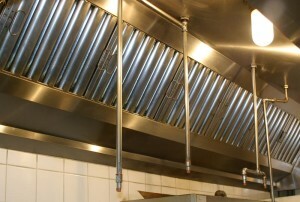 Have you fallen behind on your restaurant kitchen exhaust cleaning in Calabasas CA? Don’t worry. We can have a crew at your restaurant ASAP. Please call 800-700-FLUE now to schedule service.